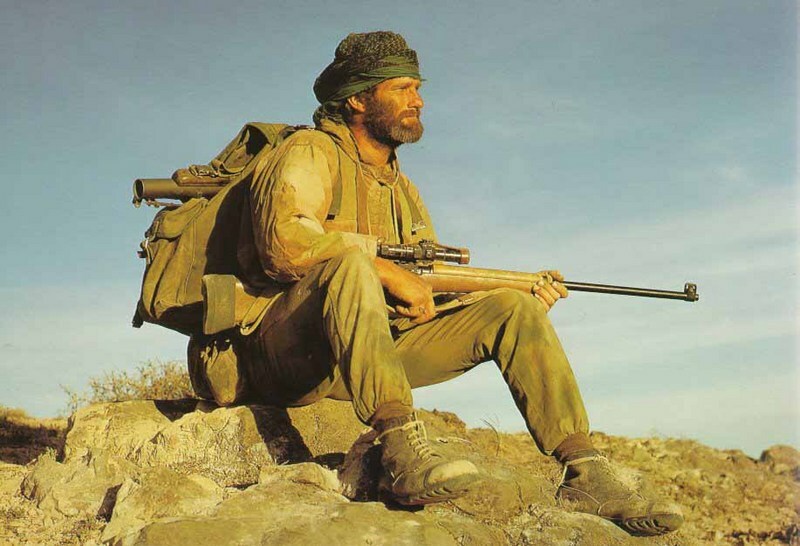 The United Kingdom fought one of its last colonial wars in Oman, between 1962 and 1976. The Dhofar Uprising was initially a tribal revolt in the fiefdom of Dhofar, which evolved into a Communist-led insurrection. The conflict is crucial for understanding the development of the Gulf monarchies. Oman was permanently changed by the war, adopted multiple counterinsurgency strategies that were recommended by the British, and was successfully modernized in its fallout. The Dhofar Uprising is a case study in how wider geopolitical concerns may fundamentally transform countries in the region. Prior to the war, Oman was a comparatively underdeveloped country, mainly because Sultan Said bin Taimur had kept it in isolation, and relied on Britain for governance. Dhofar was a fertile area that faced major social and economic marginalization. It was faced with further marginalization because Dhofaris tended to speak a mixture of South Arabian languages like Shehri and Mehri. The revolt began in 1962 with the efforts of tribal leader Musallim bin Nafl, who obtained weapons and vehicles from Saudi Arabia, and further assistance from the exiled Imam Ghalib bin Ali. Oman had previously clashed with Saudi Arabia (and later the United Arab Emirates) over the Buraimi Oasis, and bin Ali was frequently involved in efforts to combat Sultan Taimur. Taimur ignored his British advisers, and effectively radicalized the uprising through his pacification efforts, which were unrealistic given the various dysfunctions of the severely under-equipped Omani military. By 1965, the organizing committees of the revolt had evolved into the Popular Front for the Liberation of Oman. The PFLO was an alliance of dissatisfied Dhofari organizations that demanded greater autonomy and development, as well as Marxists and pan-Arabists that wanted to overthrow the monarchy altogether. International actors took note of the conflict, particularly Nasser’s Egypt, but only got intimately involved after the formation of the People’s Democratic Republic of Yemen in 1967. The PDRY bordered Dhofar, and was positioned to reinforce the PFLO with weapons, supplies, and training. It quickly moved to back the Dhofari insurgency as part of Trotskyist efforts to export its revolution to other countries on the Arabian Peninsula. After backing local allies, and serious discussion among Dhofari groups about how to best obtain foreign backing, the movement renamed itself the Popular Front for the Liberation of the Occupied Arabian Gulf following a 1968 congress in which Marxist-Leninists took control. PFLOAG began to receive assistance from the PDRY, China, and the Soviet Union. It was in response to the group’s serious likelihood of taking power that the United Kingdom began to act. Although British advisers had been working with Sultan Taimur since 1962, Westminster had no intention of sustaining his rule past the United Kingdom’s scheduled withdrawal in 1971. The result was an ambitious transformation of the country. Sultan Taimur was deposed, and replaced with his son Qaboos bin Said in June 1970. Qaboos had been educated in England, and served in the British Army. He immediately pursued major reforms, such as a general amnesty to subjects that opposed his father, the formal incorporation of Dhofar as a province, rapid development that included previously banned technologies like telephones, and major diplomatic initiatives that would promote Oman while isolating the PDRY. Qaboos also received Royal Air Force and SAS contingents that assisted with logistics, intelligence, medical needs, and a comprehensive hearts and minds campaign. The Dhofar Uprising finally ended in 1975, as a result of a successful counterinsurgency cocktail of Qaboos’ reforms, intense British assistance, and further backing from Iran, Jordan, and Pakistan. After Dhofar was pacified, Qaboos went further to expand the country’s oil fields, and use the profits to invest in health, education, and welfare. This greatly stabilized his rule as an absolute monarch, and by 1981, Oman was considered developed enough to become a founding member of the Gulf Cooperation Council. It is worth speculating about whether or not this would have happened without the threat of Communist insurrection framing the need for a radical overhaul in state governance. After all, it was the revolt that provided the opportunity for the British-backed Qaboos to take power and modernize the country. It is likely that without the Dhofar Uprising, Oman would have developed quite differently. Indeed, Qaboos may not have even been the person to do it. Dhofari armed resistance ensured that Oman would become a market-friendly monarchical state willing to fully entertain its Western allies. It was during the Dhofar Uprising that existing tensions with Taimur exploded, as the United Kingdom was faced with a possible Communist wave in the Arabian Peninsula close to its planned withdrawal. Taimur may have been allied with the British, but he was intensely skeptical of modernity, and much of his court agreed. It took the threat of another PDRY to galvanize support in another direction, with Qaboos’ enthusiastic approach to modernization being seen as necessary to offset the revolt, in addition to British counterinsurgency tactics, and the military assistance of regional allies. Omani modernization arguably wasn’t consensual. It was a hesitant process that occurred in the midst of a major crisis. Perhaps that is the secret to why it worked so well. Qaboos has now ruled the country for over 40 years, and the Omani economy has grown by over 1300% since 1980. Moreover, Qaboos’ social and economic transformation of the country has been absolute. Although it still bears many of the cultural markers of Taimur’s rule, it is clearly a modern state. Oman is also relatively stable in comparison to other countries in the GCC, despite a looming succession crisis, and its reliance on migrant laborers. Since the Dhofar Uprising that helped bring him to power, Qaboos has carefully managed state affairs through a mixture of effective technocracy, and occasional applications of state violence. Clearly, the fact that he has been unchallenged since the crisis is evidence that the strategy implemented shortly after his coup worked. These dynamics are still at play in the region, although the nature of the crisis has changed. Since Qaboos came to power, oil concerns have become far more intense, along with new rivalries such as tensions with Iran, revolutionary struggles that arose from the Arab Spring, and various conflicts linked with the War on Terror in countries like Iraq, Syria, and Yemen. The Dhofar model is arguably still applicable, since these crises have provided sitting governments with new opportunities to reconstitute themselves in formal opposition to a larger threat. As a result, they adopt changes that probably needed to happen anyway, as was the case with Qaboos in Oman. Essentially, conflicts with groups operating on the fringes of society become the catalyst for wider processes of social and economic transformation. This is perfectly logical, since the state must transform in order to deal with ‘new’ problems, as PFLOAG clearly was for Muscat. PFLOAG became an excuse to implement larger processes of institutional transformation. It is likely that as Gulf monarchies continue to back counterrevolutionary activity throughout the region, they are also going to use their conflicts with clear ideological threats (especially Islamic State) to justify programs like Qaboos’ that fundamentally reconstitutes their societies. The question is simply what that will entail. Photographs courtesy of imgur and Brian Harrington Spier. Published under a Creative Commons License.